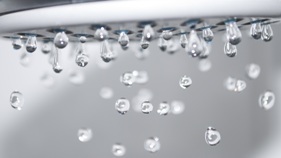 MTW Research have published a brand new, 3rd edition Research & Analysis market report on the UK Showers Market, providing a fresh, independent and comprehensive review of this market in 2018. Written specifically for shower product suppliers, the quantitative & qualitative report facilitates business planning, focuses marketing, identifies growth markets & products, enables benchmarking & offers immediate sales leads. Fully updated for 2018 and based on accounts data from shower suppliers with more than £1 billion of sales, this report represents a vital tool for analysing key market trends and prospects to 2022 in the UK shower products market. This report includes detailed market intelligence for shower controls, shower enclosures, shower trays, shower screens, shower accessories and the commercial showers market, with forecasts to 2022. Brexit Analysis - Detailed Analysis of Brexit & Implications of Brexit on Economy & Shower Market to 2023. Combining quantitative sales data and detailed qualitative discussion, this brand new, 3rd edition shower market report provides shower market sizes by volume and value, product mix, key shower product trends, key players’ profiles, retailers’ ranking and future prospects to 2022. Researched & written by experienced marketing professionals in 2018, this informative report offers a comprehensive review of the UK showers market and represents excellent value for money. This unique report represents a fresh, comprehensive and cost effective review of the historical, current and future performance of the UK Shower Market. Based on industry sales & primary research & written specifically for shower product manufacturers, distributors & retailers, this easy to use, independent market report is an invaluable tool to increase sales in the UK Shower Products Market. <8kw Electric; 8-9kw Electric, 9-10kw Electric; >10kw Electric; Concealed Mixing Valves, Exposed Mixing Valves, Bar Mixer Valves, Bath / Shower Valves, Digital Controls, Integrated Power Showers, Separate Pump Power Showers; Pumped Digital Shower Controls; High Pressure Digital Showers. Quantitative Market Data - The foundations of all our reports are based on sales from as representative a sample of the industry as possible. We have invested heavily in order to ascertain financial sales data from companies involved in the market and ensure our methodologies are as robust as possible. The accounts data, ownership, employee size and financial profiles from more than 110 companies are included in this report with a combined turnover of more than £1 billion . No other 'off the shelf' report available combines such a high level of qualitative comment based on such firm statistical confidence at such a low price.